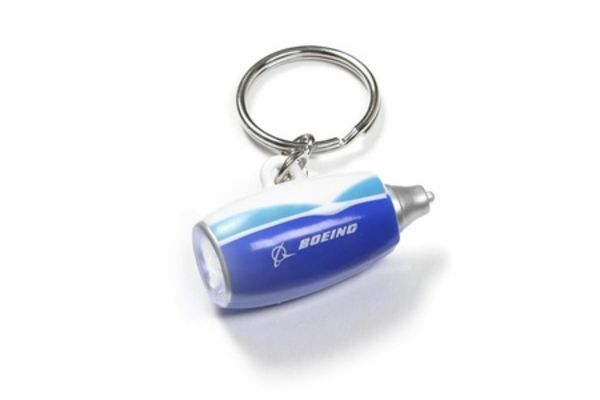 Novel key chain has a realistic jet engine shape and doubles as a flashlight (no sound). Printed graphics. Batteries included. 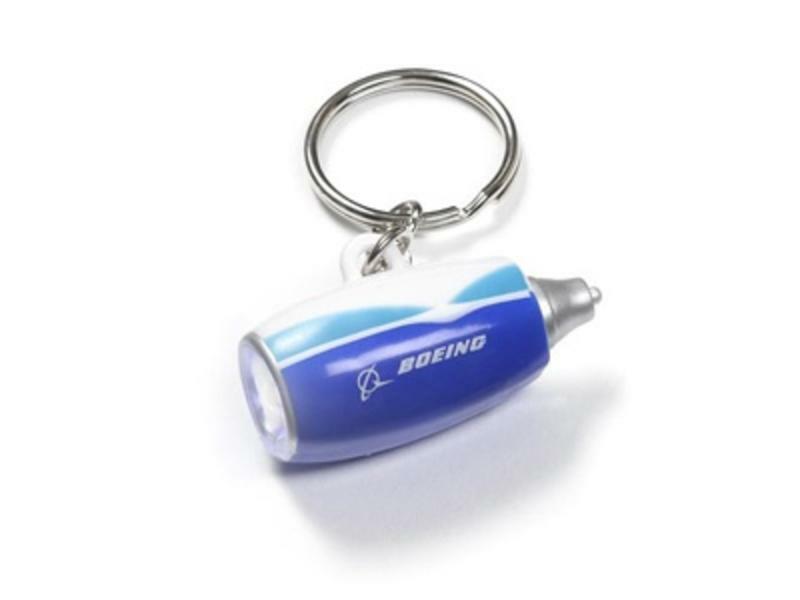 Measures 1.5" in length. Ages 8 and up. Imported.